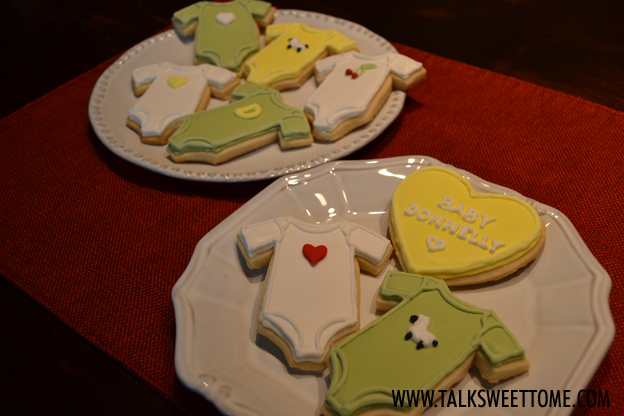 Baby Onesie Cookies | Talk Sweet To Me! 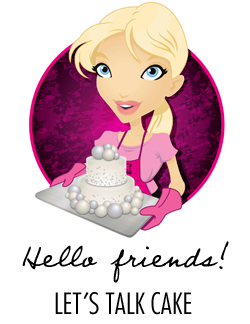 I know this is a cake blog…but we don’t discriminate against other forms of sugar around here. How stinkin’ adorable are these cookies from The Confetti Cakes Cookbook: Spectacular Cookies, Cakes, and Cupcakes from New York City’s Famed Bakery ?! Since I just reviewed the Confetti Cakes Cookbook, I thought it was high time that I try a recipe or two from it. 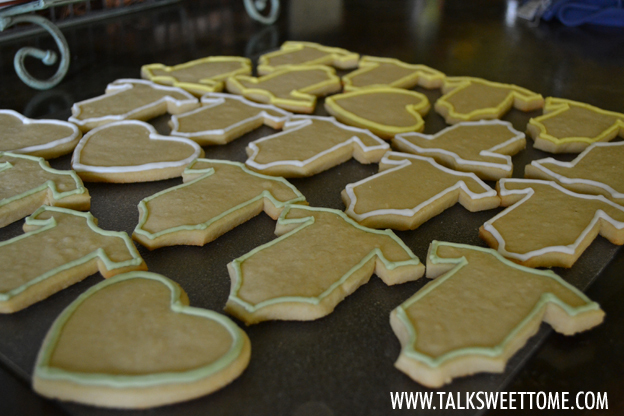 I’m a bit partial to my mom’s sugar cookies, but the Vanilla Sugar Cookies with Royal Icing from the Confetti Cakes Cookbook were really quite good. Plus, in the midst of planning for our first baby to arrive in September this year, I couldn’t pass up the chance to make these. I had absolutely no reason to (no occasion coming up, no dinner parties planned, can’t really take them to work), but I’m getting so enamored with the cuteness of it all that I simply could not resist. On to the fun! I followed the recipe exactly. The dough was a little bit different texture than my usual sugar cookie dough…harder and denser. 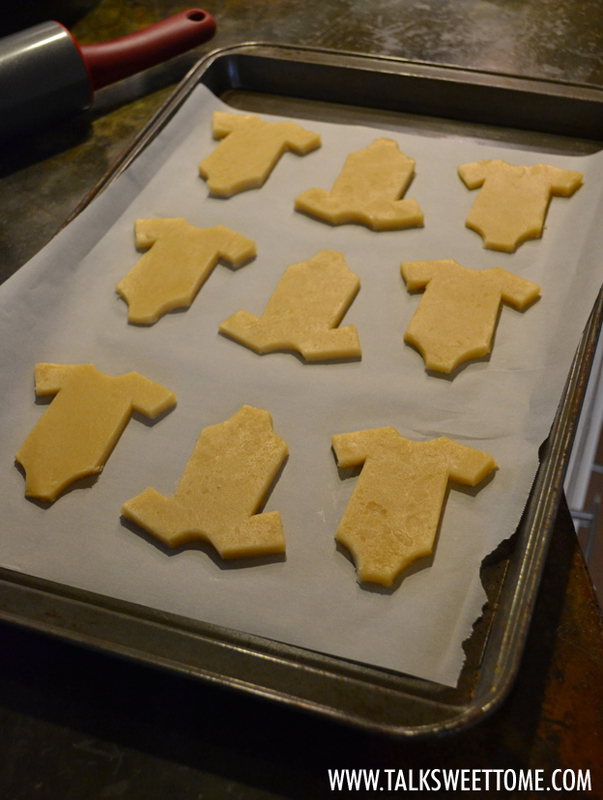 However, it was easy to handle (after cooling it in the fridge) and cut out the shapes of the onesies with a knife. 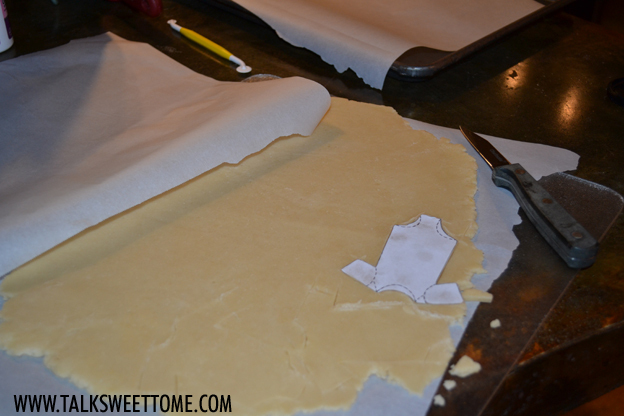 I made a copy and cut out the template from the book – it was perfect! 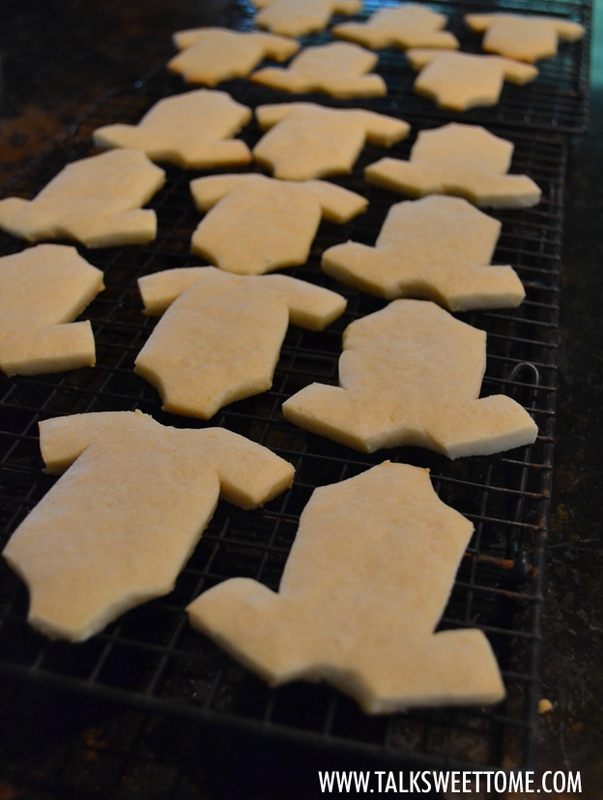 These cookies remind me a little bit more of shortbread cookies than sugar cookies, but keep their shape really well when baking. 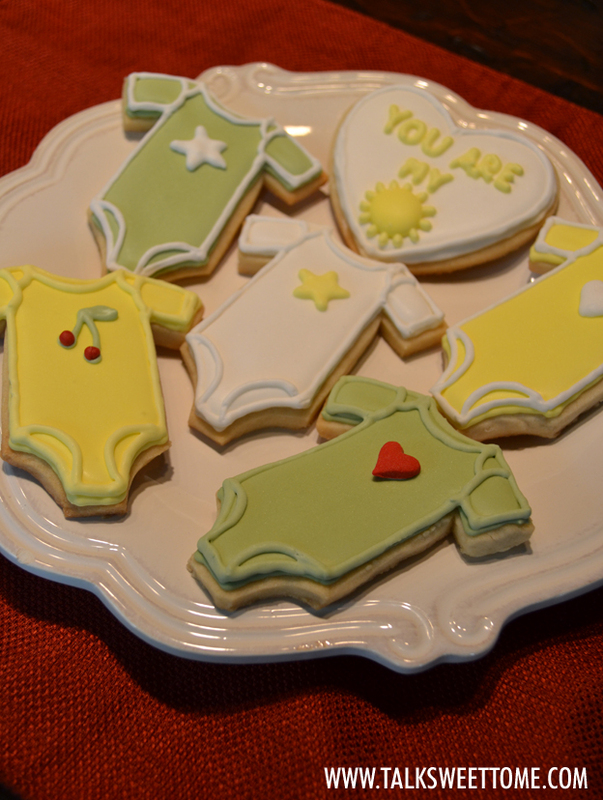 That is, of course, crucial to having the most adorable onesie cookies ever! …then my favorite part: flooding it with the flow icing! Then on to the overpiping and details. 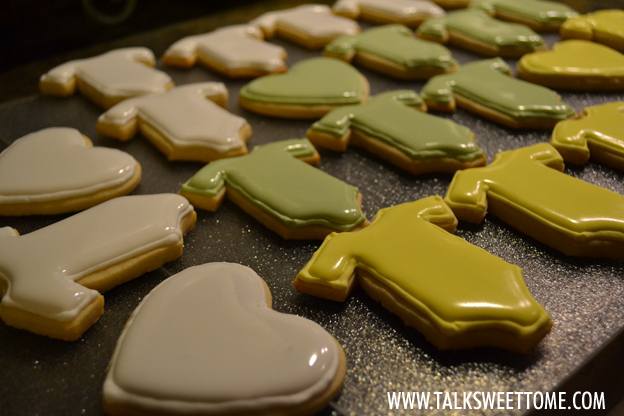 Since we’re not finding out boy vs. girl before the baby comes along, some gender-neutral hearts, stars, sheep, cherries, and the letter “D” (for baby Donnelly, of course!) served as decoration. This project was so much fun! Now I don’t know what to do with all these cookies I have sitting around my house besides make some iced tea, invite a couple friends over and…eat them! 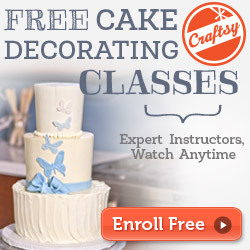 Do you make cookies in addition to cakes in your business? Do you prefer making one over the other? I’d love to know! This entry was posted in Book Review, Cookies, Just For Fun and tagged baking, cake book review, cake business on June 28, 2013 by TalkSweetToMe.